The SeaTac City Council, on Tuesday evening, appointed a replacement for former Councilmember Amina Ahmed, who suddenly died in a car crash in December. 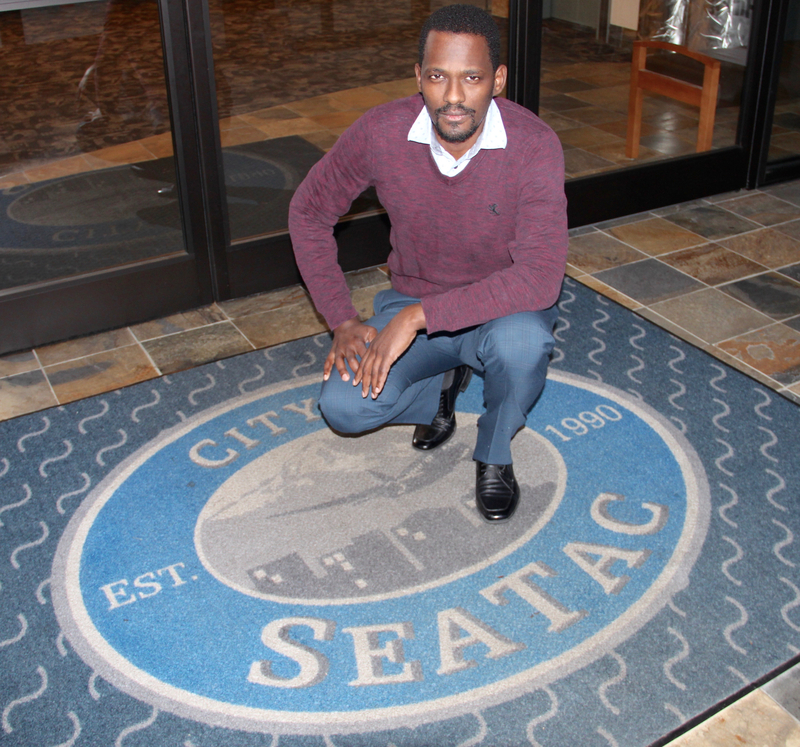 In light of questionable decisions the SeaTac council has made recently -- such as deciding to displace 50+ immigrant-owned small businesses in SeaTac Center -- immigrant rights groups expected the council to choose another person of color, like Ahmed. Activists have claimed in recent months that having a council where all but one member is white, and where the mayor, Erin Sitterely is an ardent Trump supporter, does not enable the council to represent the minority-majority city fairly. However, the council did not pick another person of color. Instead they chose Stanley Tombs Jr., who is white, a SeaTac native, a frequent attendant of city council meetings and current vice-chair of the SeaTac Planning Commission. The immigrant community expressed outrage. OneAmerica, a nonprofit that advocates for immigrant welfare, immediately published a statement conveying "shock and disappointment" over the council's decision. Takele Gobena, one of the immigrant contestants who the council passed up in favor of Tombs, said this is just the latest example of the council engaging in behavior that undermines minority constituents. "They overlooked SeaTac's plea to have their opinions voiced," he said. "It is not surprising given that we have a Trump-loving mayor here and like-minded council members. This reinforces the ignoring and disrespecting the people of SeaTac." Having ethnically diverse representation is a necessity, he said. "With 62 percent of residents being minorities, we don't have a representative democracy with this council," he continued. "If you have diverse council members, they'll have different ideas and viewpoints, and that's how the city government should run." Moreover, the public didn't have an opportunity to get to know Tombs or submit any input about him, Gobena said. "The process was not open to the public -- no one had a chance to see who this council member was. This council member will be making decisions for over 30,000 SeaTac residents. This is not what democracy should look like." However, Councilmember Peter Kwon defended the council's decision. "Stanely Tombs is a lifelong SeaTac resident who has been involved with the city though various committees," he said. "He's already familiar with what the city is going through. Since this is only a nine-month position, whoever gets appointed is not going to have a lot of time to get up to speed and learn the process. This person has to hit the ground running. Tombs will be able to do that." Kwon said that if people of color don't feel represented, the onus is on them to get more involved in city activities. "If you want to make sure you feel represented, you need to actually show up and participate," he said. "I know that comes across as harsh, but that's what people need to do." Kwon mentioned that when he first got elected to the city council, he championed a diversity resolution (this was in the wake of former SeaTac city manager, James “Donny” Payne wanting a "tactical-map" of the city's Muslim residents). "I then proposed the creation of an arts and culture committee," he said. "The committee was specifically created to promote minority people participating with their local government. But folks didn't apply. I told people, 'you have a direct voice with this committee' but very few minorities applied for that position. Meanwhile, we have folks who may or may not be minorities, like Stanley Tombs, who got very involved." Councilmember Joel Wachtel refused to comment for this story. Sitterley and Councilmember Clyde Hill didn't return calls asking for comment. Coucilmember Rick Forschler's cell phone voicemail was full, so voicemails asking for comment could not be left. This November, four council members will be up for reelection. Gobena said that while he's not sure whether or not he'll personally run, he will spend all his free time knocking on doors, making sure that people get out and vote. In the last major election cycle in 2015, only 32.74 percent of SeaTac residents voted. "We need all residents to vote, so council members are representative of the entire city and everyone is fairly represented," Gobena said. If they don't like America let go back to where they came from! Has anyone thought maybe just may Mr.Tombs was the most qualified person? Ultimately isn't that the goal? As far as picking a person no one was invited to meet Amina she was chosen form a group of candidates and assumed the best person at the time. The choice is made by the council not the citizens. And should not be based on color or ethnicity. The Seatac power structure including the city council and its supporters have held deep seated beliefs of white superiority and/or deficit mindsets toward its residents of color for sometime. The trends are well documented, from allying itself to bigots and Islamophobes to actively push out and dismember communities of color in Seatac. Shame on Kwon for suggesting that people of color havent participated and engaged in government. They've participated on their terms, not his. Disgraceful comments from a disgraced community representative. Good lord..who wrote this article. First..why is it a questionable decision to finally sell that piece of property that the Bakaro Mall is on? The council chose to proceed with selling, they didnt choose to displace the 50 immigrant businesses. Stop turning it around to fit your agenda. Second-why on Earth would you pick someone for the council just because they are of color..what does skin color have to do with anything? Takele Gobena says that the Council ignored SeaTac citizens pleas to be heard...what citizens...50 people pissed off because they have to move from a space they are RENTING? Oh right, the 50 citizens who cannot control themselves at council meetings and sing and disrupt city business and call the council members racist c**ts? Real nice!! Takele you must be so proud!! That is one way to be heard and ignored..I would ignore you too if you acted that way towards me. Oh and Takele, going on and on and on about yourself instead of describing your ideas and plans for the City is one way to NOT GET APPOINTED to the Council...just sayin...So those in the community who are shocked and disappointed with the pick...get off your butts and get elected to the council! Quit bitc**ng and do something. Stop with the name calling and racist comments and run for council! Stop with the whoa is me attitude and run for council! Contrary to the articles suggestion, Stanley Tombs was picked on his qualifications, one being his many years on the Planning Board, which is a volunteer position. Stanley, unlike many of the quoted parties choose to support the city he lives in by giving of his time and specialized knowledge as a civic duty. The other applicant you speak of in this article has no such qualifications and was therefore not considered! Once again, a writer (I won't use the term journalist in this case) is bashing an entire city because of a handful of people are upset at having to move their businesses. (Perhaps they'll actually have to pay rent and taxes now.) We in Seatac have been called racists, white supremists and gentrifiers. We've been accused of trying to run minorities out of town. I guess those few Africans are the ONLY minorities in Seatac. Forget the Filipinos, Malaysians, Vietnamese, Hispanics, African Americans, Ethiopians, Chinese, Russian, and Islamic that are JUST ON MY BLOCK! None of them feel threatened to move. In fact, we've all laughed at these accusations. The problem in this area is that anyone can throw the race card down, and we're supposed to accept the accusation as fact. We're supposed to cower and profusely apologize, then bend over backwards to over-accommodate the "oppressed". That's racism in itself. But it's so much easier to scream "racism" than to explain the economic factors that effect all of lower income levels. It's an easier battle to name call rather than address the true problems. It's easier to assuage inner guilt by blaming others rather than getting out and constructively making a difference. Mr. Tombs appointment is temporary based on his credentials. Insisting the post be filled only with a black person is racist. Developing property for affordable housing is economic. You'll not see any wealthy people flocking to fill those units, certainly not gentrifying white supremists. I can't help but chuckle at the irony of one group using the fear of white like our President is using the fear of brown people to motivate his base. not involve the community - Saturday Oct 13, the city council had a all-day special public meeting where they interviewed 12 applicants to fill the vacant city council position 5. That was when Amina Ahmed was picked. SO THE PUBLIC WAS INFORMED. That was only 2 month and 15 days ago. In addition to listening to residents, there are guidelines, rules, regulations and laws that a city council must follow. There are no special guidelines, rules and regulations that say everybody has to follow these except for immigrant communities, or that everybody has to follow the same laws unless a certain part of the community doesn’t want too. It comes down to this. The city has followed the exact same guidelines, rules and regulations. A responsible decision is NOT based on ETHNICITY, it’s based on qualifications. instead of picking the person who is most qualified for the position, you seem to be of the mind that a person should have been chosen based on skin color or immigrant status regardless of their qualifications. Knowing that they represent only the people by immigrant status or color of skin, will be the reason they would not have a position of the council. Provide written proof of what the issue was/is that has caused the city to be hostile? What guidelines, rules or regulations did the city not follow? What has the city done towards the musilum immigrant community that was hostile? Can you provide one example? Articles attacking our mayor or council aren’t going to help the musilum immigrant community, in fact, when Peter Kwon’s name was mentioned, that just made the majority (white and non white) of the community realize that these accusations were just lies. He is that respected. Unfortunately, you have drawn the public attention to the businesses at the Seatac Center. Your actions against the city could have caused more harm to the businesses than anything in your favor. Just a FYI - Do you know what 58.6%, 59.9% and 65.1% represent? They are the percentages that the majority of the community voted for and that Erin Sitterley, Peter Kwon and Michael Siefkes beat Mia Gregerson, Sally Andrews and Dave Bush by and took over their positions . No matter how many flyers with slander was mailed, all the made up stories that were not true, hiring hundreds of door knockers that didn’t know anything about their opponents and lies after lies, the citizens in Seatac will choose the best fit for the entire city… In fact, they lost votes because of it.